There’s lots of talk out there but you may be wondering what’s up with the future of groundwater management in the Paso Robles water basin. On October 14 the supervisors will be deciding if they want to apply to the Local Agency Formation Commission (LAFCO) to form a water district based on Assemblyman Achadjian’s special legislation AB 2453. Paso Robles Ag Alliance for Groundwater Legislation (PRAAGS) and Pro Water Equity (PRO We) are the original sponsors of the legislation but now they are lobbying to have the supervisors form the separate nine director special district. According to the staff report for the Oct. 14 hearing, the estimated cost for the County to apply to LAFCO for an AB 2453 district is $350,000. There is no guarantee that a district will be formed after the county invests in the LAFCO process. The formation and funding of the district will be decided by a vote of landowners. There is going to be some form of groundwater management over the Paso Robles basin and in the whole state. Groundwater management will be based on recently passed state legislation collectively known as the Groundwater Sustainability Act. Statewide, basins will be managed locally by groundwater sustainability agencies (GSA). The Paso basin can be managed by the supervisors as the Groundwater Sustainability Agency. The alternative is for the supervisors to form a new AB 2453 district and this additional layer of government could then act as the GSA. Recently I co-authored a letter with the local chapter of the Sierra Club to the San Luis Obispo County Board of Supervisors recommending that the county become the groundwater sustainability agency. This is the preferable alternative to having the supervisors invest resources and considerable money to apply to LAFCO for a new water district. The supervisors should declare the county to be the groundwater sustainability agency and take on the challenges and opportunities of sustainably managing the Paso basin. 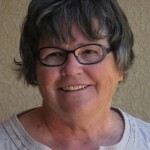 Susan Harvey has lived in the North County area since 1975. She is the president of North County Watch. I think I will support whatever side the Sierra Club is not on. We need to understand the origin of problem. First,the City of Paso Robles is the most egregious entity in terms of the depletion of the Paso Robles Groundwater Basin. Development in the city has been out of control for at least twenty years and that growth, fueled by wells near the airport, is the primary proximate cause of the most severe water problem in the Airport/Jardine/Geneseo areas. On top of the massive housing and hotel development that has already taken place Paso Robles has approved zoning for hundreds of additional houses in the Chandler Ranch and Beechwood/Olson projects along with a new school and commercial development. Even after Paso Robles is able to process Naci. lake water it is likely to continue to pump at the airport to service the above mentioned projects. Second, we have taken an area that was predominately dry farmed and planted thousands of acres of irrigated crops. The drawing of agriculture water is wide spread over the basin and accordingly has had less serious impact than that of the City of Paso Robles which is highly concentrated. Further, the Paso Robles well pump 24/7 while the Ag wells typically pump intermittently. While agriculture and rural well owners will be controlled by the proposed AB 2453 Water District the City will not be part of the proposed district which leaves the fox in the hen house! As for the County and the Flood Control District being in charge – we need to be careful as to what we wish for. The Board of Sups is highly political and I don’t want my water to be subject to that political subdivision. As a rule the closer the government is to the voter the better the result. Accordingly, we need a Water District focused only on the north county that includes Atascadero, Templeton, and most importantly Paso Robles! board and if it turns out that rural residential folks only have to pay 3% of the district costs,I’ll be very surprised. The separate district being considered by the supervisors is a bad alternative. As part of the Los Osos Groundwater Basin adjudication underway right now, the parties involved, including the County, have also suggested a water district…another layer of government, a board, and a staff. The particulars have yet to be ironed out, but do not be fooled into thinking the County won’t set up a district anyway. Yeah, great f&*&&^(*O idea – the County manage the Paso Ground Water Basin. Now lets see, the County did such a bang up job with the Naci pipeline that ran over budget, then a couple people died on the project due to the incompetent governmental oversight, then there are all the leaks in the pipe line due to inept governmental oversight, then there is the Los Osos Sewer Project another reflection of government incompetence and the list goes on and on. Lets let the idiots at the County manage the water basin in Paso – The preferable alternative”. If the County idiots had any common sense they would have dealt with the issues facing the entire county in regards to potable water 25 years ago. They have buried their heads in the dirt for 25 years knowing that this problem was coming. Instead they kept issuing well permits, ag pond permits and of course more building permits. In addition, the local Cities have been no better in this mess. So, yes lets turn it over to the County based upon their past record of incompetence! I just do not trust our board of supervisors or county staff to do what’s right with our precious resource. Money going to re-election committees will determine the outcome. What ever happened to the concept of public service? Be careful what you wish for Susan. Look what the county’s management of the Los Osos Groundwater Basin has done…pumped the ocean right in underneath the town. Seawater intrusion was detected in the late 1970’s under the sandspit…today it is under the library (new data coming out this month may show it has advanced even further inland). They couldn’t even implement a toilet retrofit program until they had tapped the sewer users pocketbooks, even then they can barely pull that off. Losing storage capacity to the sea can not be reversed. Wrong as usual Julie. Easily reversed with a line of injection wells. I know you don’t have much experience, but look up the West Coast basin barrier project and the Alamitos gap barrier project in Los Angeles County. They stopped saltwater intrusion in 1960’s by injecting a barrier of fresh water, which effectively winds up pumped in wells. It gets paid for with the equivalent of a water tax. A basin barrier project works this way, drill a well every couple blocks, inject 1 or more CFS per second, as needed, and you slice off the wedge of saline or chloride laced seawater and push it back. This is even done with reclaimed water; check out the Edward C little water recycling facility El Segundo California. I didn’t say it was the best choice, nor economical, I said you were wrong when you said that storage lost to sea water intrusion is permanent. It is absolutely not so. How did you sit on the board so long, and not know about 1960s and 1990s California projects involving the defeat of seawater intrusion? Yeah! Let the government manage the GOLD (AKA water) because we see examples of their competent, transparent, ethical and honest management each and every day by each of the county supervisors. Power to the people is what our constitution is about. Keeping the government in check just as you would rabid dog. Stop the power hungry battles over water; we all need it for basic survival. When we’re out of water, will then venter’s start distributing bottles of wine for all to sustain life? Oh, yeah, that’s right wine is not a basic necessity nor will it sustain life nor does it provide any benefits to humans what’s so ever. What Ms. Harvey neglects to mention is that four of the five county supervisors have repeatedly and publicly stated that they feel the Flood Control District is NOT the proper management agency and that a local management agency is the appropriate approach. More empire building by self-serving bureaucrats?